It may seem like a play on words but Allison Tai is one Tough Mudder in every sense of the phrase. Just recently coming off of the win at The Spartan Ultra Beast World Championships this year (2017), she is setting her sites on the win at The Toughest Mudder World Championship in a matter of weeks. Her story is one of fables, having been taken out by a car while riding her bike, suffering a broken back, hip and arm to return to ultra endurance racing is simply amazing. We talk with Allison about her goals, her desire to break 100 miles at WTM and the competition. 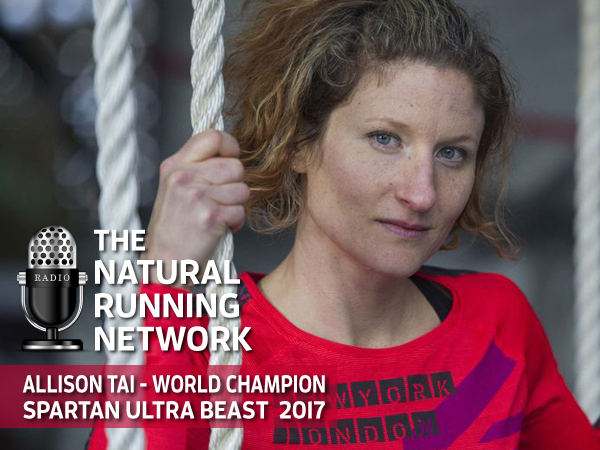 ← Spartan World Championships, Were you Prepared? Over the past couple years I’ve taken your advice and started to transition from a 12mm drop Nike trail shoe in 2015, to 8mm (again Nike) in 2016, and now to the Inov-8 X-Talon 200 (3mm drop). I haven’t had any major negative effects (just some slight soreness, but only for the first handful of runs and nothing that lasted more than a day), so now I’m looking for a 0-drop shoe, but I can’t seem to find any for trail running. Are there any specific ones you suggest? Look at Altra MT King.